Hand Made Jojoba Bead Face Soap with Fresh Goat Milk, supplied from a Northern Illinois Organic Farm, with Calendula Infused Organic Jojoba Oil, Alcohol Free Witch Hazel, lightly scented with Roman Chamomile, Rose & Lavender Essential Oils. 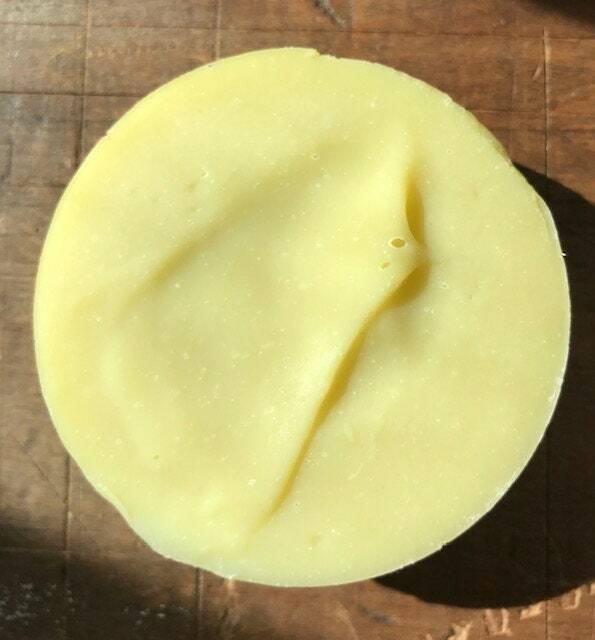 Fair Trade Organic Shea Butter, Organic Avocado, Organic Coconut, Organic Olive Oil, Organic Moringa Oil, Meadow Foam Seed Oil & Organic Castor Oil make up the rest of this Facial in a Bar of Soap. Jojoba Beads for Exfoliation and are fully biodegradeable.